The NEW Days Inn at Palo Alto opened in December, 2007. Our beautiful, modern hotel has 42 guest rooms that feature remote control 32 inch PLASMA TVs with expanded cable including HBO, hair dryer, micro-fridge, free high speed wireless internet, as well as iron, ironing boards and coffee makers. 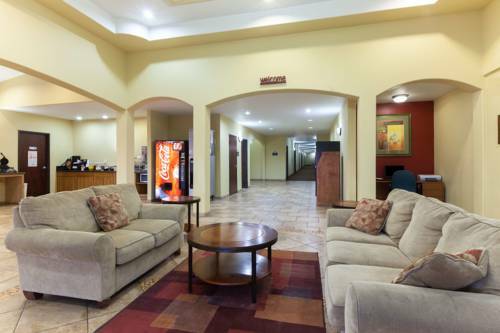 The hotel is conveniently located adjacent to Palo Alto College, offers a deluxe complimentary continental breakfast, outdoor pool with soothing waterfall, and is just minutes from downtown San Antonio.